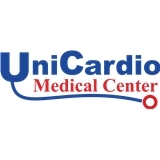 Unicardio Medical Center (Miami) - Book Appointment Online! A medical center that their doctors have created for you and your family. Preventive and curative medicine of the highest quality. Your primary care physician is also a specialist in Cardiology. Your doctor will also continue to follow you in the hospital. The best doctor-patient care with personalized treatments We carry medical services to your home. Access to coordination specialists and dental services. Unlimited transportation. Your medical record is electronic and accessible to you at home.